Although everything can be found in India, here are some of the essential travel items to bring to India. India can be a rough place sometimes with the dirt and heat – all coming down on you at the same time. The SwissGear Travel Gear ScanSmart Backpack 1900 (Black) is a good travel rucksack as not only you can carry a a laptop in the bag but can carry all other things that you might wish to take with you in the aircraft. One bag, basically goes all the job. A tough durable bag can go a long way. Anyway, if you buy a good travel bag, it will last you for years. What you need is a bag that fits in the cabin compartment, looks good, is tough, has many side pockets and looks good at the same time. The Everki Flight Checkpoint Friendly Laptop Backpack, Fits up to 16-Inch (EKP119) fits the bit very well if you are carrying a lap top separately. Malaria is endemic in India. Most parts of the country has the mosquito problem. It’s best you bring your own mosquito repellent with you. If you don’t like repellents, mosquito nets are another option. Repel 100 Insect Repellent Pump Spray (HG-94108) 98.11% Deet , 4 fl oz provides protection up to 10 hours and can be used in areas of high infestation. Basically don’t go without one specially if you are going just after the monsoon seasons. The top mosquito diseases and common illness relating to mosquitoes include malaria, Dengue Fever, viral fever, heat related illness and other allergies and hay fever. The electricity supplied in India is at 440 volts at 50 Hz. You will need plugs that have three large round pins in a triangular pattern. Plug type D is the most widely used plugs in India. Word of caution – Indian plugs and sockets are dangerous. In fact, the most dangerous I have seen in the world. The wall sockets are often unprotected and small children are in danger of electrocuting themselves if not careful. The “eForCity COTHPLUGUN01 Insten Universal World Wide Travel Charger Adapter Plug, White ” is a universal adopter and can be used in India too. India is a very photogenic travel destination. You should bring a good high quality travel camera to capture the amazing colours India has to offer. Holiday in India will perhaps be one of the most memorable holidays you will have so bring decent camera with you. The “Nikon Coolpix L330 Digital Camera” is a very popular camera. With 165 pixels, it will take excellent pictures in India. 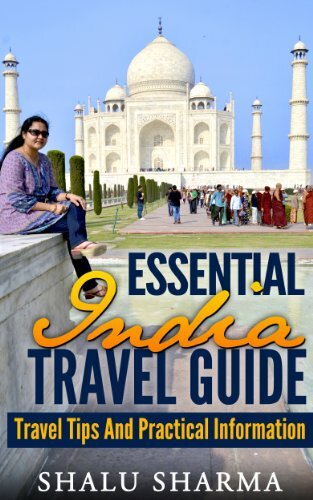 There are excellent travel guides on India for instance Fodor’s Essential India: with Delhi, Rajasthan, Mumbai, and Kerala (Full-color Travel Guide) and DK Eyewitness Travel Guide: India. 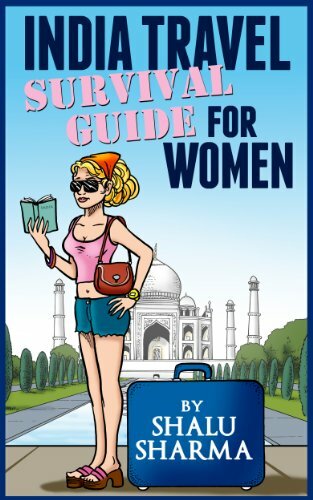 You can also find my popular book called “India travel survival guide for women” on Amazon.Here’s the paperback version of my book. In fact, there are many brilliant guide book to choose from. I am in the process of writing another travel guide tp India that will be a universal guide for those travelling to India. Basically, what I am saying is, its worth learning some basics about India and what to expect in India. Knowing basic Hindi words, phrases and sentences can go a long way. 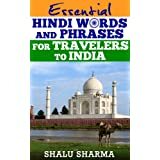 I have written a book called, “Essential Hindi Words And Phrases For Travelers To India”. Here’s the paperback version of the book. Some of the basic words include “Namaste” when you meet someone, aap ka kya naam hai – what is your name, aap kaha say aaye hai – where have you come from and so on. 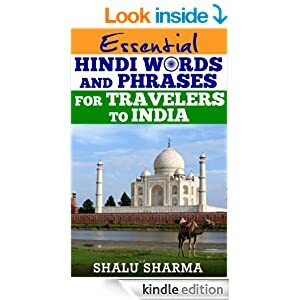 This book covers all the Hindi essentials that you will need for your travels to India. If you are travelling to the rural areas of India, then it’s worth taking a torch with you. The wind-up torch works best in these places as you do not have to worry about buying batteries or charging them dues to absence of electricity in these areas. Many of the wind-up torches come with a flash lights and radio which are bonuses specially if you don’t have a TV for you to watch. Many radio programmes in in English. No matter where you are travelling, taking a set of the most common batteries particularly the AA and triple A batteries is a good idea. Never go on a holiday in the third world without a set of batteries. Although, you don’t need to take batteries with you to India but its advisable to take some for your first few days of your stay in India. If you are going to be in rural areas of India, then its definitely advisable to take some with you. We Indians use the squat toilets and don’t use water. However, its not all doom and gloom – most decent hotels in India particularly the metros will have toilet papers. But at the same time, smaller budget or hotels in smaller towns and cities might not have them – all you will find in these hotels will be a bucket and water to wash your back side. In some areas of India, you might not even find toilet paper at all. So why not take some toilet paper just in case. Here’s how to use the Indian squat toilet. Female urinary devices (FUDs) are devices that allow a woman to urinate while standing up like a man. India can be filthy place at times and some of the public toilets are horrendous. They are quite simple to use and can be used easily and discreetly. You might wish to take a few of these FUDs with you. There are many types to choose from and most of them are portable and can be carried in the hand bag. One good one is the P-Mate Female Disposable Urine Director (5 Pack) . It’s difficult to obtain a sim card in India if you are a traveller, although you can get one at the airport. In this case, you will need to bring an unlocked mobile phone with you. Basically there are 3 option as a visitor to India; either you activate roaming on your current mobile phone (expensive), buy unlocked phone or get your current one unlocked. My recommendation is to activate roaming if it’s free but mind you it can get expensive if you are taking too many calls. The best option is to buy an unlocked mobile phone and buy a sim card at the airport. If you are planning to stay in India for long particularly if you are volunteering or if you are going as student, the Cocoon Silk MummyLiner can come in handy. Made of silk, it’s ideal for India where it allows one to feel cool in the hot Indian summer and is warm in the cold winters. Its hand washable and can be washed and dried easily in India. 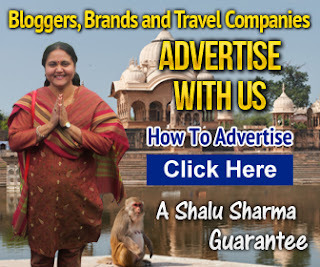 If you are visiting India for a long duration then something like this can be very handy. Good thing about this is that, its light and durable and should last you for several years and would be valuable for other activities such as camping or trekking. You must have a small first aid kit no matter where you are travelling and certainly not to miss if you are going on an expedition. These kits do not have to be most comprehensive of kits, they should include the basics so that you have time to get help or go to the doctor or hospital if required. The one that I found on Amazon is very popular amongst expedition goers. India is one hot dry sticky country. You must bring some comfortable bra with you. There are some good travel bra’s to choose from, for instance the “ExOfficio Women’s Cross Over Bra”. There is even bra for hiding valuables to keep valuables discreetly and secretly. ExOfficio Women’s Cross Over Bra is very lightweight, is treated with Aegis Microbe Shield to eliminate odour-causing bacteria (useful in sweaty conditions like India’s). It’s definitely a great choice for traveling. This is a must since India is not the most hygienic of all destinations in the world. In fact, on the contrary. Antibacterial wipes is a handy thing to take with you especially for wiping children’s hands before they start eating. Something like this is very useful no matter where you are travelling to. A place like India’s where hygiene conditions are very poor, its a good idea to carry these anti-bacterial hand wipes. Wash basins are not always available, even if you do find one, soap might be missing. With these wipes, you can just reach into your bag/purse and simply sanitise your hands on the move. They tend to kill bugs that cause stomach upsets which is common in India. A must have for a destination like India’s. This is a great power supply item to take with you to any travel destination not just India. The item has three-outlet power strip, two protected and powered USB outlets and a 360-degree rotating plug letting you plug three AC devices into a single wall outlet so that you don’t have worry about what to charge first. Another reason why this is great for India is that it allows you to protect your devices against voltage fluctuations, surges, and energy spikes which are rampant in India. Last thing you want is your expensive devices going bust in India. Locks are must in India. If you are travelling in trains, you must lock your luggage to the seats. Unfortunately, despite being locked, expert thieves are able to unlock it or simply break it. Why not take some sturdy locks with you? You must lock you hand luggage as well. It’s easy to forget locking your hand luggage and often most of us concentrate on the suitcases which tend to have their built-in locks anyway. Why not carry a small lock that will make use of number combinations rather than the “lock and key” types. The “Master Lock 4688D TSA Accepted Cable Luggage Lock in Assorte” is Travel Sentry™ Certified. India is hot country and you will need some sort of protection from the sun. If you don’t protect your skin, the heat, the germs, dust will get to your skin. Last thing you want is your skin over exposed to sun while you are site seeing. We Indians are a tough lot – we don’t need such protection. But those who are not used to such extreme conditions must protect their skin. Sunscreens with a sun protection factor 50 are ideal especially for the Indian climate.